Design of the first generation Ford Thunderbird was lead by Ford's head of design George Walker. I can just imagine the crew of designers sitting around an oak conference table, spit-balling ideas in a room filled with cigarette smoke. Most of the engineers and drafters are the typical suit wearing 50s engineer, except for one dude who sticks out like a sore thumb. He looks like a homeless version of Doc from Back to the Future, curses constantly, chain smokes a pipe, and he is in charge of the rear bumper design. 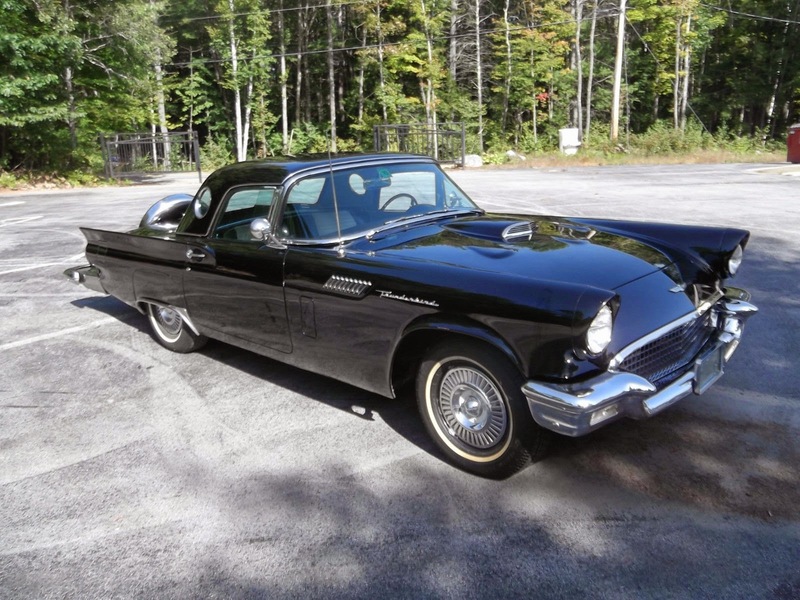 Find this 1957 Ford Thunderbird with Pontiac 389V8 here on eBay , currently bidding for$22,600 reserve-not-met with a day to go, located in Thomaston, ME. 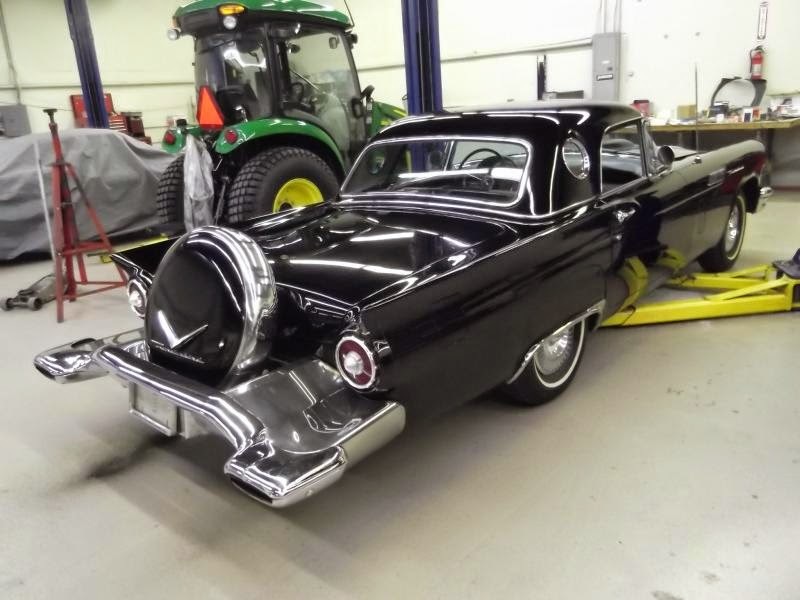 That rear bumper wasn't a standard T-Bird feature, it was part of the so-called Continental Kit, which moved the spare tire to an enormous bumper that doubles as the exhaust tip, mobile BBQ and space lander. Hang on, wasn't there something about a Pontiac V8...? Oh yeah, this T-Bird was customized by the legendary Bill Frick, who started in the 1950s building something called the Fordillac (it was a 1950 Ford powered by a Cadillac) but he also put Pontiac V8s into Thunderbirds. Read more about Bill Frick here on Kustomrama.com. Between the front fenders is 389 cubic inch Pontiac Trophy-V8 that is fed via an Offenhauser aluminum dual quad intake topped off with two Carter 4-barrel carburetors. 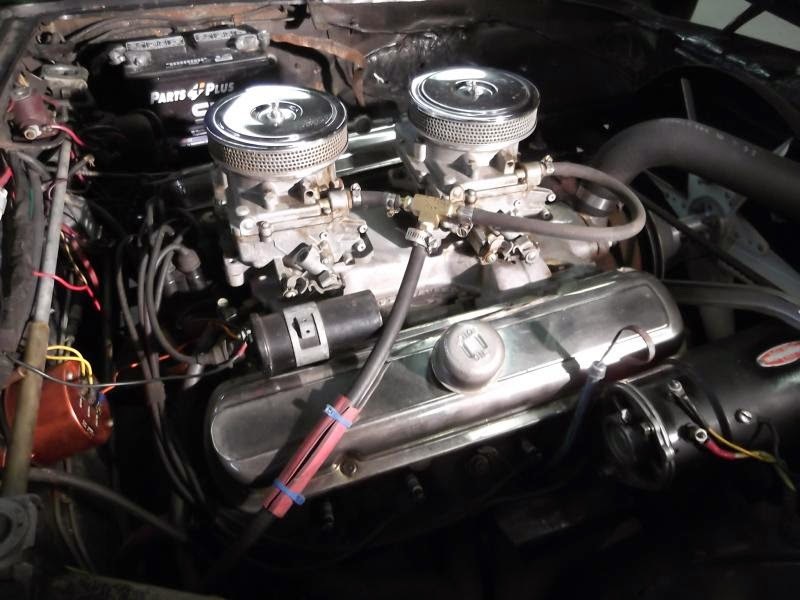 According to the seller, this car was original force fed via twin superchargers, which would mean this is the car that was built for Albert Ornellas as described in the kustomrama article. Previously, the car was listed for $57k...so don't expect the reserve to come off anytime soon. 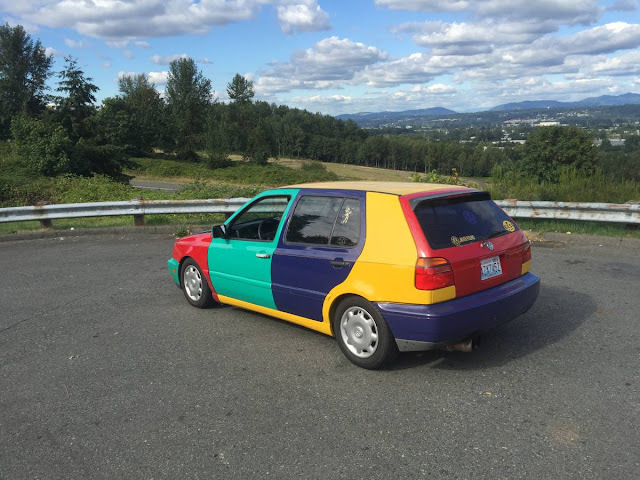 Nice car, but Conti kit makes me wanna barf. Wait, that actually exists? It's not a crazy Photoshop job? I envision a group of engineers at BMW in the 1970's looking at a picture of this car and saying, "Ah so. Zis iz vat zhe Americans like, no? Okay...vie do zis to zhe funf und sechs series for zem. Zey vill love it!"